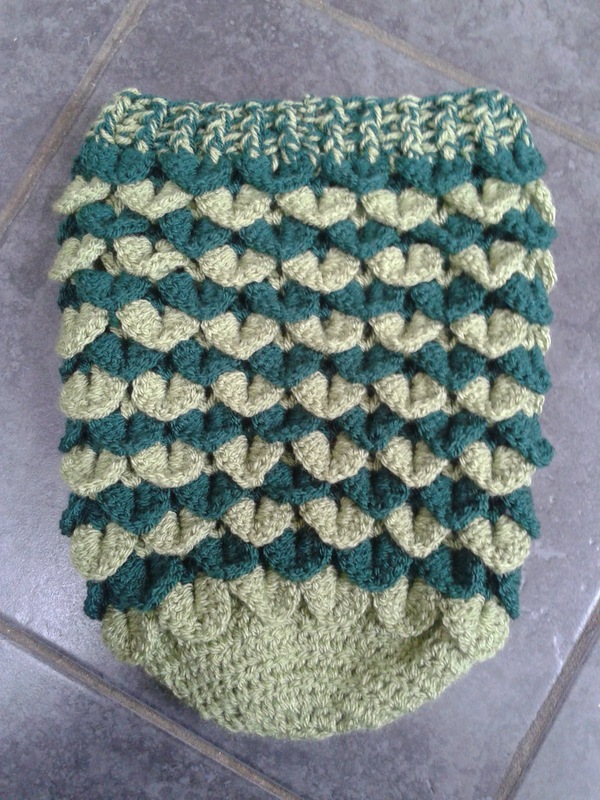 Lolly's Crafty Crochet: Crocodile Stitch Newborn Baby Cocoon! UPDATE - Pattern now available to purchase on Ravelry! Click here to view. Ha, ha! 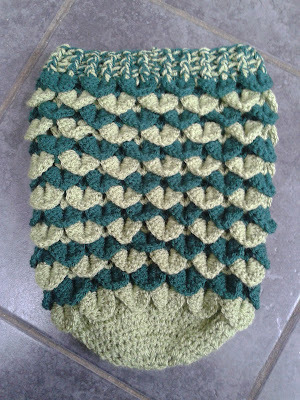 You knew it wouldn't be long until I announced another crocodile stitch pattern was on the way! Pattern is currently being tested by a couple of fabulous Ravelry users and then it will be ready to go! The pattern will be for sale on Ravelry and at Lolly's Crafty Crochet on Etsy from Friday 23rd March 2012 - remember all of my paid for patterns are available for only $3.40 (£2.22) - so why not treat yourself! Thank you so much for your comment! Totally 'hooked' on the stitch myself - try not to be too obvious about it though - lol! Hello, thank you for this awesome pattern, I love the Crocodile Stitch!! I am working on this now and I am to Round 8 and I need to make sure I am reading this right!